Xiaomi made a convincing statement about its repute of offering superb devices at amazing prices with its Redmi Note 3. That smartphone was a massive success with millions of units sold last year. The Chinese company has since launched a follow-up to that device in the aptly-named Xiaomi Redmi Note 4. What does this one have to offer? 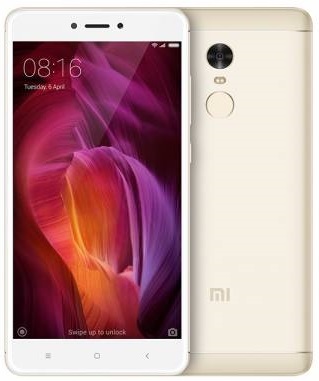 The design of this Xiaomi Redmi Note 3 successor is largely similar to the previous device. But the all-metal body is even now better. It took various steps to deliver the impressive aluminium look the device sports, according to Xiaomi. The Redmi Note 4 is slimmer at 8.4 millimetres and the rear is less slippery. For the display, it rocks a sharp 5.5-inch Full HD (1080p) display for quality images. The IPS touchscreen, which promises great wide-angle viewing, features a 2.5D glass that adds a curvy feel. If you are an Instagram addict, you are not likely to be let down by what the Xiaomi Redmi Note 4 brings to the table. On the rear is a 13-megapixel shooter with an f/2.0 lens, phase detection autofocus and dual-tone LED flash. This is capable of Full HD video recording. For your selfies, there is a 5-megapixel front-facing snapper also featuring an f/2.0 aperture lens. You can shoot HD (720p) videos with the secondary camera. Users are in for super-fast mobile data download speeds with 4G LTE connectivity, which supports voice over LTE. Connectivity features also include Wi-Fi 802.11 a/b/g/n, Bluetooth 4.1 and IR Blaster. There is a fingerprint scanner in the mix for added security. Its humongous 4,100mAh battery offers fast-charging tech for good measure. The sale of the Xiaomi Redmi Note 4 has been on for a while. The starting price for the 2GB/32GB model is about $150. This is virtually the same price at which the comparable model of the Redmi Note 3 sold last year. But considering the current foreign exchange situation, you should now expect to pay at least about N70,000 to get a unit of this amazing device. And, of course, variants with greater memory and storage space attract higher prices.